You may remember how Uber laid out its ambitions to become a multi-modal transportation company back in April with the announcement of Uber Rent, preceded by a $200 million acquisition of bike-share startup JUMP. 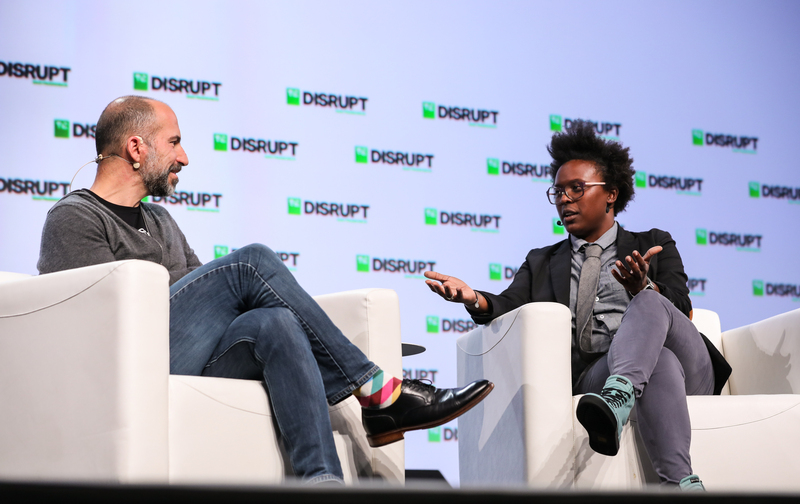 Now, Uber is making it easier to access those modalities with the addition of Mode Switch, Uber CEO Dara Khosrowshahi announced at TechCrunch Disrupt San Francisco today. The idea is to further hook people into the Uber app by offering a variety of transportation options, and ultimately have your phone replace your car. Before, you can see how the options for rentals and bikes were much more hidden in the app. Uber first partnered with JUMP in January to enable people to book bikes within the Uber app. Then, in July, Uber put some money behind its ambitions to get into scooters when it participated in a $335 million funding round in Lime. As part of the deal, Uber will add Lime’s electric scooters to its app. Currently, Uber offers JUMP bikes in Austin, Denver, Sacramento, Chicago, New York City, Santa Cruz, Washington, D.C. and San Francisco. Uber has yet to launch scooters, although the company did submit a permit proposal to operate in San Francisco. That application was denied. Instead, Skip and Scoot received permits to operate in the city. Uber Rent is a platform that taps into Getaround’s existing marketplace of cars that are available for instant rentals. Uber Rent lets people book Getaround cars directly from the Uber app. Once Uber feels solid about the product market fit, it will expand the program nationally. Fun fact: Getaround won Disrupt NYC Battlefield back in 2011. Uber, however, has yet to integrate public transit, which the company also announced in April. In partnership with Masabi, a mobile ticketing platform for public transit, the plan is to enable people to book and use transit tickets from within the Uber app. Ultimately, it’s likely that Uber will simply add additional transit options to Mode Switch once it’s ready for launch.